"It is a great example of customer-led innovation in the sense that the people themselves are creating the results they want. There are no top-down handouts being given to anybody. They have to work together to figure out how to make their lives better." Vern Burkhardt (VB): You have spent time in Uganda since our interview on May 17th of 2009 – your fifth trip to that country in the past four years. What led to your interest in Uganda? Patricia Seybold: I'm an alumnus of a group in the New England area, graduates of a "DMA" course Robert Fritz gave. It was a course on creativity; how to create the results you want in your life. At the time Robert was based in Salem, Massachusetts. There were probably a few thousand of us in New England who had taken his various courses and we got to know each other. That was how I met Silvana Veltkamp, the co-founder of the Uganda Rural Development and Training Programme. Starting about 1987 she would hold fundraising dinners at her home once or twice a year for her Ugandan Project. Many of us who were alumni of Robert Fritz's course would go to those dinner meetings and get updates on what was going on in Uganda. My husband and I generally attended one of these dinners each year. Like most alumni who attended we would write a small cheque, and enjoy the updates and dinner. This continued until five or six years ago when I got an email from Mwalimu Musheshe asking me to be on the Council of the African Rural University. I had met him a few times during his visits to the U.S. It was when I said, "Yes, I'll do that," that I got much more involved. VB: And when you become involved you become fully involved. Patricia Seybold: I think any time you agree to be on the board of an organization you end up making a strong commitment. I knew I was going to learn a lot from these folks, that it would be really interesting. I was right! VB: Uganda is a beautiful place as well. Patricia Seybold: Yes it is. I had been to other parts of Africa – Morocco and South Africa – but not to any right on the Equator. And I hadn't spent much time in the other countries. VB: "…they wanted the local people to create their own home-grown path to prosperity." Is the approach taken by the Uganda Rural Development and Training Programme (URDT) unique in all of Africa? Patricia Seybold: I don't think anybody else is doing bottom-up, integrated rural development the same way as URDT. There are other successful, grass-roots programmes, such as the Barefoot College in India and there are probably others that have sprung up in various parts of Africa. I'm aware of a few cases in South Africa where they are trying to give people a practical education, along the lines of what URDT does. Although URDT may not be the only place in the world offering this type of innovative programme, I can say it's well thought out and very complete. People from other parts of the world come for tours because it's considered to be a best practice. VB: Did you have the opportunity to spend time with the three who founded the programme 22 years ago – Silvana Veltkamp Franco, Ephrem Rutaboba, and Mwalimu Musheshe? What are some of their insights? Patricia Seybold: They each believe in the creative orientation – they speak of it as 'awakening the sleeping genius in each of us.' Everybody can be the author of their own destiny. People can create a vision, create their own goals, and work individually and together to achieve them, no matter what their circumstances. Even before they were introduced to Peter Senge at MIT they shared a holistic systems thinking way of looking at the world. In this type of thinking you always look at the whole picture. You consider the interrelatedness of everything and understand that a fairly small intervention or issue can lead to, or be symptomatic of, a much larger interplay. One of the things you notice when you go onto the URDT campus is that they institutionalize systems thinking to such an extent that every morning all of the adults and many of the children, certainly the older students, participate in a one-hour systems thinking seminar. The topic varies; it's whatever somebody wants to bring up. It could be triggered by current events, somebody visiting the campus, or something that happened recently on campus or in their community. They look at the situation in a holistic systems way so everybody gets good at thinking about, and looking at, the world in this manner. VB: What would a systems thinking seminar entail? Is it creating a collective understanding or doing an analytical review of the various components? Patricia Seybold: It's both. Whoever is presenting a topic begins by providing the framework for the discussion. They'll say, "Here are some ways I've been thinking about this topic." The group will then identify a number of different dimensions. Everybody contributes towards fleshing out those dimensions, and adding other dimensions that have not yet been considered. VB: The result is usually impressive? Patricia Seybold: The sessions encourage everyone to look at the world holistically, and to realize that you can't address a particular problem by just treating a symptom. You need to look at the bigger picture. During the sessions the participants are encouraged to consult with each other and try to get as much context as they can so they can avoid missing things. There are, of course, people who are really masterful at this process – such as Musheshe. He'll sit patiently through an hour's discussion and then point out the five things everybody missed. VB: He's a deep thinker. Patricia Seybold: Yes, and we all like to try to see if we can get close to his standard of systems thinking. VB: You used the term "creative orientation". What did you mean by that? Patricia Seybold: That is a term used at URDT to communicate that each person can create the life or results they want in their life. It's a creative orientation, as compared to a problem-solving orientation. Problem solving tends to get everybody focused on short-term fixes of things that don't involve the structures in play allowing you to make a bigger leap in improvement, or be more creative in your solution or in the way you address an issue. Secondly, problem solving tends to get you very focused on one particular way of addressing an issue rather than thinking of the goals you want to achieve and being open to inspiration, creativity, and innovation about how you might achieve those goals. It's almost metaphysical in the sense that you begin to attract resources and offers of support for what you are trying to create. VB: Metaphysical in the sense ideas emerge from the group that individuals didn't find on their own? Patricia Seybold: Yes, and also in the sense that the phone might suddenly ring with somebody offering you money and other things that will support you in achieving the goals you've established. VB: And that actually happens? Patricia Seybold: It does. Not every day, but it does. Anybody who's had the experience of being in a creative flow, or of manifesting some major result they were trying to achieve, has experienced various forms of serendipity or synchronicity that have helped them. It's not as if you can just wish for something and have it magically appear. But there is empirical substantiation for the fact that if a number of people are focused on particular results and outcomes, not only will they be more creative, but somehow the energy they're putting out will attract resources and ideas that they might have missed, or that might not have otherwise turned up. This phenomenon can also occur when a person is working alone but it is less likely. VB: During these sessions they reach a state of synchronicity and flow – the 4th level of communication? Perhaps it's because they're mentally prepared for it or have experienced it in past group sessions? Patricia Seybold: Yes, that's a good way to describe it. I don't think Musheshe would necessarily describe it as creating synchronicity although he practices this approach. He doesn't give up when he has a seemingly insurmountable goal. He is patient, keeps experimenting, and never lowers his sights. He engages in deep listening and is always open to new ideas and insights. Eventually he gets where he wants to go but not necessarily in a direction and manner he would have followed if working on his own. VB: Prior commitment in writing by the girls' parents is a key aspect of the success of the Girls School at the Uganda Rural Development and Training Programme. And the parents are taught many of the same things as their daughters – a two generation education. Is this necessary for the success of the programme? Patricia Seybold: I think so. It's essential that the parents agree not only to send their girls to the school, but also to undertake learning what the girls learn, and to use these lessons and commit to making changes in their homes and with their families. I noticed the fact that parents come to the school workshops and learn the theory, or walk around the fields to see new ways crops are being raised, doesn't necessarily result in the parents immediately implementing changes when they return home. The program's success seems to be the result of a combination of the parents being willing and committed because they've signed an agreement saying they are going to change, and their daughters agitating their parents about doing it. At the end of each term when the parents come onto campus to participate in workshops and then return home with their daughters, they have committed to undertake improvement projects. As well, their girls are saying, "Well, come on Dad, it's time to go build our new bathroom", or "Let's think about how we can raise pigs." "How can we earn some money to buy a pig?" "Maybe we could burn some wood to make charcoal to sell and come up with the money we need." The secret to success is the energy and enthusiasm of the girls that was stimulated during the school term, combined with the commitment made by their parents. In addition, the school has a proven approach that shows them they should tackle only one thing at a time. For example, first they have to get healthy and put a roof over their heads, and then they can become more energetic and interested in improving the rest of their family's circumstances. VB: It is phenomenal that the parents' standard of living increases 20% per year while their children are enrolled in the school. And there are other benefits as well? Patricia Seybold: Yes, it's dramatic. They go from living on one dollar a day to approaching a middle class lifestyle by the time their daughters graduate. There are other benefits. Everyone is healthier. People become more peaceful and there is less conflict. The girls have told me lots of stories about how domestic violence has decreased. Estranged relatives become reconciled and work on improvement projects together. People begin to respect each other. These changes are huge. VB: I gather that having goals helps change everyone's perspective and outlook on the future? Patricia Seybold: Yes, they go from apathy and fatalism to hope and optimism. They can now say, "Wait a minute, there are things that are within my control." "I can make a difference in my daily life by doing something simple, such as building a latrine or getting rid of the mosquitoes around my hut." These small successes, along with the development of a creative orientation, make a difference. It's knowing they can have a vision. The girls take home pictures they've drawn with whichever parent attended the workshop, and put them on the wall in their home. They are a visual reminder, symbolic of where the family is heading, of the kind of home and farm they want to have. VB: Are you optimistic that the Uganda Rural Development and Training Programme is contributing to changing the traditional role of women in the region it serves? You can see positive changes in the physical stature of the girls and in the fact that men now take them seriously. The girls' fathers and village elders take them seriously. The mothers learn from the daughters that they, too, can speak up, and have their opinions heard. As well, everyone learns that families should plan together. Deciding what to plant, what to take to market, and all other aspects of what families do is not a role exclusive to the husband and father. Getting the children and mothers involved in these decisions is very important. There are many mothers who are the single head of their household because the father is either dead or missing in action. Through the School Programme their daughters have been able to help these women develop dignity and feel more valued in society, because they can now make a decent living. This has been another big and lasting change. The story isn't all rosy. There has been a backlash to these changes. As I describe in my blog, one of the initiatives of the school has been to operate a community radio station. During these radio broadcasts, when the girls or even sometimes when adults are talking about educating girls or having women work outside their homes, a lot of people will call in, particularly men, to complain about it. They complain about women being "uppity," or about women complaining to the police when their husbands beat them. Any way the women speak out against injustice rocks the boat for the men. Having this community radio was a brilliant idea for providing support for change. The programming is very positive with respect to gender equality, human rights, family rights, and women's rights. It's not about putting women first; it's about making them equal. The message is, "You are a stronger man when you have a strong woman by your side." People hear this theme so much that they actually begin to believe and act upon it. So it's contributing to long-term changes in society. One of the benefits of the Girls School Programme is that more girls generally are attending school in their communities. When the girls attending the Programme come home they talk to other girls in the community about what they've learned, their "back-home" projects, and their ability to raise money for their school fees. With more girls going to school the proportion of girls and boys in school is changing. It's much more equal in communities where there is a Girls School Programme student. VB: I was also interested to read that some of the male entrepreneurs identified gender education as a significant contributor to their success. The men talk about it in two ways. One is realizing that women can do the same things they can. This is a big deal for them. They study beside girls in classes about carpentry, car maintenance, beekeeping, or accounting, and learn that females are capable of doing these kinds of work. The other way is learning to look upon "equal" females as potential customers for the wares they're selling. Patricia Seybold: Yes. As entrepreneurs grow their businesses they train and hire more people, and men who have studied with girls tend much more toward being equal opportunity employers than is otherwise the case. For example, Moses, one entrepreneur I met, had a metal workshop with four men and one woman working for him. I don't think that would have happened before he went to URDT's vocational training programme. VB: Is the URDT example consistent with your observations and recommendations in Outside Innovation? Patricia Seybold: Yes, absolutely. It's one of the reasons I write about it so much. It's a great example of customer-led innovation in the sense that the people themselves are creating the results they want. No top-down handouts are being given to anybody. They have to work together to figure out how to make their lives better. I talk a lot in Outside Innovation about how important it is to have a clear picture of the outcomes you want to create – your customer's outcomes. This is part and parcel of what URDT does. URDT has come up with many innovations. The Girls School is one great example. Some of the things the girls do within their homes are not necessarily innovations. These changes are often just incremental improvements in their lot in life, although they often become creative about how they go about it. An example is the girl who was trained by the Red Cross in first aid who decided to return home and teach this knowledge and skill to people at her local church. This wasn't an initiative somebody else suggested to her. She decided other people in her community needed to know first aid in order to improve their health, so she decided to teach the course. VB: You talk about URDT's repeatable innovation process. Are there useful lessons for entrepreneurs in North America, Europe and other parts of the world? Patricia Seybold: I believe so. The notion of creating a structure which allows you and your constituencies, or audiences, to create repeatable results is something that businesses and not-for-profit organizations in any society could learn. That is only one of the things I'm trying to better understand as I look at the girls' school. We now have ten years of history doing simultaneous two-generation education, and have documented remarkable results. The home life part – peace, getting rid of conflict, and improving things around the house – is certainly repeatable. This approach could probably be followed in school systems in other parts of the world. There is one caveat, though. In a non-farming family you'd have to figure out ways in which the children and their families could work together to increase their income. This is tricky because they would likely need to have a small family business in order to be able to decide to take steps to increase their income, which is part of the URDT approach. Thinking more broadly, a business' goal is to help its customers reach the outcomes these customers care about. The question becomes how, together with your customers, can you invent, design, and perfect the structures that are going to make these customers successful at meeting their goals within your brand and production system. If we think of financial institutions – Fidelity Investments in the U.S. is a good example – they talk about the goal of their customers as being able to retire in comfort. They want to do whatever they can to make it easy for people to safely save and invest amounts of money that will allow them to retire comfortably no matter what happens to the stock market and to the economy. In Robert Fritz's words, they want to help customers make retirement the path of least resistance. They have established a few structural mechanisms for doing this, like selling employers on the idea of making sure their employees contribute to a pension fund in an automatic way. This means pulling some money for savings out of their pay cheque each month. It also entails lobbying the government to make mandatory payroll savings the way we do things in the U.S., as it is done in many other countries. This is one tiny example in financial services, but I think this type of approach could occur in almost any industry. In addition to creating a new product or service, if you are clear about what your customer's desired outcomes are you should be able to figure out a totally new structural approach to help them achieve their goals a lot more quickly and easily. VB: What are some of the lessons we can learn from the URDT experience about the traditional approach to foreign aid? Patricia Seybold: The traditional approach to foreign aid is to send in so called experts to teach the people how to do new things, to do things differently, or to provide assistance. We send in tractors, fix roads, repair wells, and teach people how to plant things more productively. But as soon as we, the experts, leave everything reverts back to where it was before we started. Having seen this for years through the UN and other well-meaning organizations, Silvana feels that if the people being helped aren't making the changes themselves they will never learn and remember how to do things differently. More importantly, if it isn't their idea that they need clean water, they won't learn to go through the thinking process of asking what they need, how can they address the problem, and what resources they need. If they don't go through that type of thinking process leading to them taking action, then they are unlikely to value the end result. Even more unfortunate, they won't have learned the necessary innovative way of thinking about and approaching change that allows them to take ownership of their circumstances and ultimately extend this approach to other needs they have. Changing their life situation has to be driven by them, not by some outside well-meaning agency. Most community development people tend to be pretty impatient about the pace of change when this approach is followed. We go into a situation where a hospital and other necessities of life are needed, and the temptation is to short-cut the process of involving the local people in innovation. We say, "Great, let's raise the money and build them a hospital". It's interesting that the Ugandan Department of Education does not build schools in its rural communities. The communities have to mobilize the local people to make bricks and spend Saturdays building their school. They have to find people who are educated enough to teach in the new school, and then they have to find the money to pay the teachers. VB: As a result they are probably much more supportive of their children going to the new school and getting a good education than would otherwise be the case. Patricia Seybold: Once they've done all of that, absolutely. VB: You observe that attitude is a key factor in achieving success. Patricia Seybold: It comes down to what we've been discussing – people need to feel they are the subject, not the object, of what they are trying to create. It also requires a positive, "can-do" attitude rather than a hopeless, victimized approach to life. It's not helpful to think of yourself as helpless, 'Things are never going to get better and I can't do anything about it.' The key to success is shifting to, and maintaining, a positive approach. It seems kids are better than adults at being positive, perhaps because kids are more optimistic and energetic. We need to figure out how to re-kindle that child-like enthusiasm in ourselves. VB: You say, "The purpose of the African Rural University is to attract and educate women to be rural innovators, entrepreneurs and change agents in their own rural communities, for them to be embraced as community transformation leaders." Is this goal being met with noticeable results? Patricia Seybold: Yes it is. The African Rural University, which operates on the URDT campus, is still in the pilot phase. The university itself has yet to be accredited by the Ugandan Ministry of Education. We are currently involved in this accreditation process. At this point one group of young women has gone through the three years of pilot curriculum, and is now in the 7th or 8th month of a two year internship in the field. The programme started with 60 women, 27 of whom completed the three years. Of those I believe 18 have remained to do the internship programme. This is a pretty high attrition rate. It's a result of the fact that we still aren't accredited, and some of the young women went back to their families or left to engage in another career. I'm sure those who returned to their families are making a big difference in their communities. Many have become businesswomen. The students I've been following are the interns out in the field. They have created amazing results, which they document through monthly reports. These reports are signed off by the leaders in the communities where they are stationed and by the teachers at the university. When I was last there we toured a couple of the projects that were underway. One of them was a new community school that had been built in the manner I described earlier. The student was instrumental in getting the community to mobilize itself, build the primary school, and hire the teachers. When we were at the community there were a couple of hundred students attending the new school. In another example, interns had mobilized members in two communities to agree to build a road to get from one community to another. One man had had a vision for years of building a 7 kilometer road to replace the existing dirt road of about 20 kilometers, which often became muddy and difficult to use. With the help of the interns, agreements were reached about whose property the road would go through, and work parties were mobilized in the two communities. About 60 people turned up every Thursday with home-grown implements to cut down bush and trees. They used donkeys and a lot of manual labor to clear the land. By the time we got there they had been working for about 4 months, and finally the two parts of the road, which started from each of the two communities, had reached each other. They were finishing the clearing work and draining some swampy areas. The next step would be to properly grade and finish the road surface. All of this was done by the local people using their initiative and their own tools. At the district level, an engineer, who in the past had not paid any attention to the villagers' desire for a new road, all of sudden started paying attention to the work being done. He realized the communities had built the whole road without his help or involvement. As the road engineer he was accustomed to telling workers how to build roads, so he became involved to see if they had built it correctly, make sure the drainage systems would work, and generally make sure the road was okay. It was interesting and, more to the point, incredible that the communities were able to get this project done with the stimulus of the interns when they had previously been unsuccessful in arousing even the interest of the official road engineer. Another example of the benefits of an intern's work was how a young woman had shifted the eating patterns in her district, which was composed of about 18 communities. This was accomplished by teaching the women, through seminars and workshops, about all the leafy, green vegetables they could grow in their kitchen gardens, and which would improve the nutrition of their families. The women started growing these plants, sharing cuttings with each other, and having banquets, to which they invited the men and other women to taste the new dishes they had learned to cook. This intern was successful in changing their diet from all carbohydrates to one that included leafy, green vegetables as well as some proteins. Patricia Seybold: Yes, I know. These young women are able to put a new lens on thinking about improvements in these communities. They talk to a lot of people, get to know many in the community, figure out what the people want, and then help mobilize them to accomplish what is desired. Another interesting accomplishment is that several of the interns have spawned the creation of local community savings banks. They received the basic information and tools in their university curriculum to enable them to set up a local credit union. In this arrangement everybody contributes a small amount of money on a regular basis, and the board of the community savings bank approves loans to members of the bank for something productive they want to do. They're loans so the money has to be repaid to the bank. These are like the microloans in India and other countries, but they're self-governed microloans – self-governed by the members of the community savings banks. VB: Any other comments about how URDT has become a hotbed of innovative practices in integrated rural development? Patricia Seybold: People from all over the world are beginning to visit. While I was there, there was an international land rights conference with people from Southeast Asia, South America, and other parts of Africa. URDT had been picked as the host because there is so much to learn about what they have done with land rights in their region. Their knowledge is due to the participatory action research that many of the African Rural University students have been involved in. The students mobilized different groups of women with varied demographic backgrounds from different communities. Some were single, some married, some widowed, some owned their land, and some were the wives of polygamous husbands who had been promised land but didn't actually have land title. These women, together with the students, learned everything they needed to know about land reform in Uganda, a very difficult and complex topic. There are four different types of land ownership, lots of legislation, and many hoops to jump through. The women had previously been involved in trying to claim title to their land, and they all became experts in this field after six to nine months of studying and working on the topic. Some of these women were barely literate! They then started taking action, creating savings and loan banks, working with their local governments at the district level to streamline the process of getting land title, and convincing their husbands that the family needed to have title to the land they were tilling. Enough was published about what they were doing to make them a magnet for this international conference on the topic. It was great to have researchers and other land rights professionals from Bangladesh, Bolivia, Taiwan, and many other countries come to see and hear about what they had managed to figure out in Uganda. VB: Would you talk about the children's book you are "midwifing?" I understand it will be written and illustrated by the 10- to 18-year-old girls at the URDT Girls School who are becoming effective change agents? Patricia Seybold: When I was on the campus, I asked the girls in the Girls School to contribute stories about their back-home projects, primarily to highlight what they had done with their families since they started with the school. Specifically, I asked if they have been change agents for their families and their communities. This was done in the form of essays and drawings. I am now in the process of pulling this material together for a book, which will be a collection of the girls' drawings and the stories that go along with them. I plan to continue collecting stories and drawings of the girls' accomplishments on a web site called Tikatok Books. It's a site that enables children to write and illustrate books. Users will be able to put together their own book, and either download a pdf version or buy a printed version online. The reason for the website is there's a lot more material than I can to put into a 40 or 60 page children's book. VB: Are you hoping to be able to sell it and generate some royalties for the URDT's projects. Patricia Seybold: Yes, I hope so. Equally important, I hope it will help increase awareness about the school, and that teachers and schools in other parts of the world will be among its customers. We are trying to write the content in such a manner that students reading it will be encouraged to question their own situations, and then take action. I would like to see it become a catalyst for students elsewhere, encouraging them to say, "We can do this too." "How can we follow this approach in our community?" Ideally, these students will also chronicle, on this website, what they have learned and done in their specific circumstances. VB: When will this book be published? Patricia Seybold: The first draft was completed by the end of May, which is the 10th anniversary of the URDT Girls School. Once the book is in final draft I will have to figure out a game plan for going with a commercial publisher in order to get better distribution. Now that the first draft is done, I'll go through my agent to determine if any publishers are interested. If not, we'll keep doing it using the grass roots approach. VB: In your blog, you commented that while in Uganda you were amazed by your ability to access your email through a Blackberry using a wireless modem in the remotest of locations. What are the implications of this ubiquity of the Web even in the most remote areas of the world? Patricia Seybold: This blew my mind. Even though we have Internet access on the URDT campus the bandwidth is very slow, and it's hard to do anything because it keeps timing out. And the electricity keeps going off. It's hard to download anything with any kind of bandwidth – especially pictures or slides. This is very frustrating. Also it's very expensive. The Internet access on campus at URDT comes through a satellite and costs about $10,000 per month, which is a ridiculous amount of money. There is no way they can sustain that level of cost. On the other hand, when you use a wireless modem like a cell phone, or Blackberry, or use your cell phone to text message, as long as you are sending simple messages the response time and cost are within reason. I'm able to get some pretty basic Internet access using a wireless phone modem for my computer. The service provided by cellular phones is incredible. You can be in a remote location with no telephone lines and no electricity, and people are walking around with cell phones. If there is any money at all somebody in the family manages to get a cell phone, and when they scrape together a little extra money they buy enough minutes to call friends or relatives. The cost of using cell phones is fairly expensive given the income of many in Uganda, but the infrastructure is in place. This tells me that it will be cell phone connectivity that will make it possible for people in these remote locations to access to the Internet and communicate with the world outside. VB: Do you plan to return to Uganda soon? Or move there? Patricia Seybold: I'll be going back in October. I've thought about investing in a home for when I visit. It would be a place they could rent to anybody visiting the campus. It's not outside the realm of possibility that I would have a vacation home there, but I would not move to Uganda permanently. VB: Have you fallen in love with Uganda? Patricia Seybold: Yes, but not enough that I'm willing to be so far away from the rest of my life. It's great. I love the people there; I've made wonderful friends. I love the opportunity to learn new things every time I go to Uganda. It's becoming like a favorite vacation place. VB: Are you going to continue to write and publish articles about the school? Patricia Seybold: Yes, as long as the customers of my consulting business don't get completely annoyed with me for writing about the same things over and over. So far they've been interested and patient. So far I haven't exhausted all there is to learn and write about the incredible innovations in Uganda. I'm sure I'll find other places that are worthy of writing about as well, and I'll add them to my mix of interests. VB: I'm sure your involvement is more than writing about the work they are doing – no doubt you make creative suggestions for enhancements to the programmes and approaches. Patricia Seybold: Yes, but it is so much more about learning how they can do innovative things using their own ingenuity, and celebrating those successes. VB: Do you have any other comments about URDT that we haven't yet discussed? Patricia Seybold: No, I appreciate your interest. I think you have asked a great set of questions. Pat Seybold's enthusiasm for the Rural Development and Training Programme in Uganda is infectious. She is to be admired for her personal dedication to helping not only through financial contributions, but by dedicating a lot of her personal time to promoting the program's success – a great example of social responsibility in the corporate world. 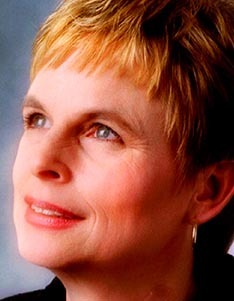 Patricia Seybold's bio: Patricia Seybold is founder and CEO of the Patricia Seybold Group. As a consultant she uses "a coaching, mentoring, and learn-by-doing consultative approach to help clients achieve their goals as they transform their corporate cultures to be more customer-centric. She helps her clients' teams redesign their businesses from the outside in by inviting their customers to invent new streamlined ways of accomplishing their desired outcomes, using their own real-world scenarios. Seybold's Customer Scenario® mapping methodology facilitates cultural change in organizations as key stakeholders from different product lines, departments, and organizations join with customers to co-design customers' most critical interactions." She has a blog Outside Innovation focusing on new ways to engage customers in co-design. Patricia Seybold is the author of Outside Innovation: How your Customers Will Co-Design Your Company's Future, The Customer Revolution: How to Thrive When Customers Are In Control, Customers.com: How to Create a Profitable Business Strategy for the Internet and Beyond, and co-author with Martin Lindstrom of BRANDchild: Insights into the Minds of Today's Global Kids: Understanding Their Relationship with Brands. Her articles have been published in Harvard Business Review, CIO Magazine, Fast Company, and Computerworld.